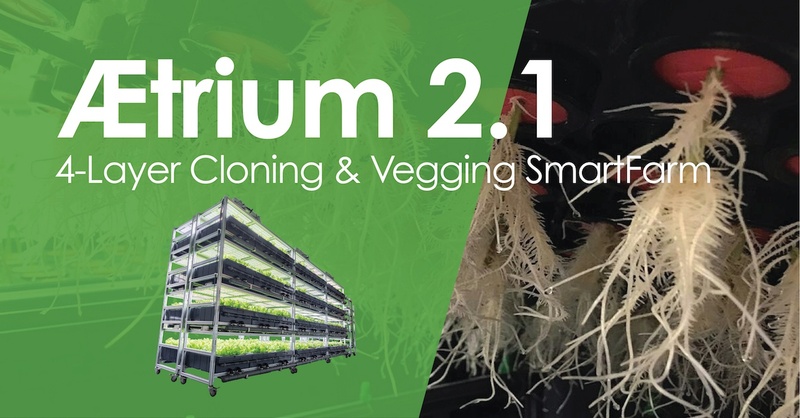 The AEtrium-2.1 SmartFarm delivers fast, safe, reliable clones in VOLUME. This stacked 4 layer automated grow system was created with modularity and high volume commercial cultivators in mind. Each 72-tray AEtrium SmartFarm generates 4536 beautiful healthy clones or 2268 robust veg growth plants every 10 days. 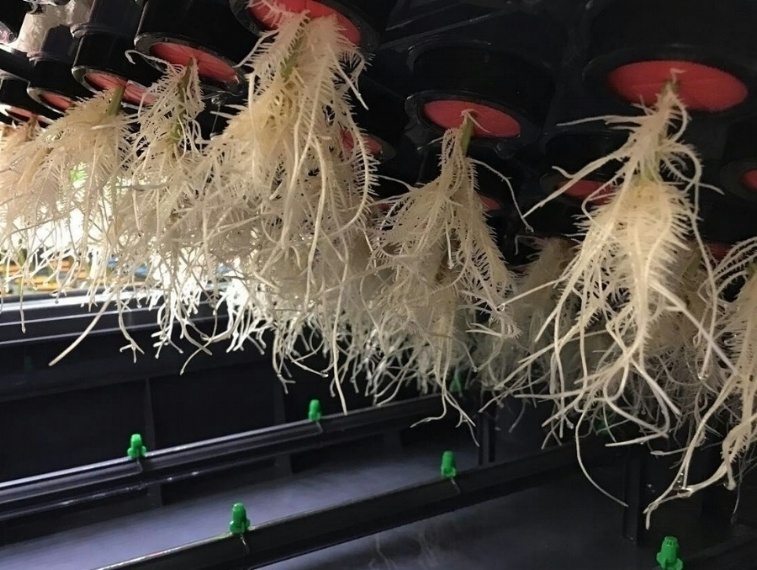 This fully automated system delivers 40 clones per square foot of floor space. Bring your clones in-house and you're in control. 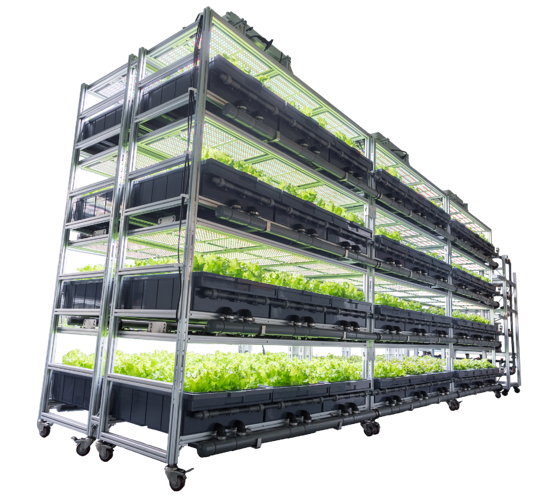 The SmartFarm comes in 24, 48, or 72 tray configurations. How Much Money Do You Spend Each Grow Cycle Buying Clones? This 4-layer high density cloning system makes YOU the lowest cost supplier. 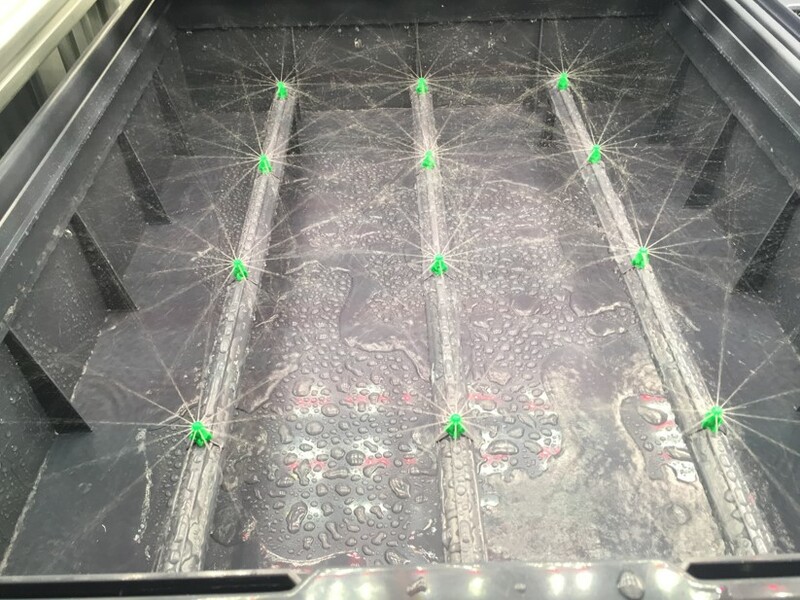 The SmartFarm is highly flexible and easily configured with trays for any allocation of cloning or vegging space. Automated sensing and dynamic dosing manages your entire nutrient recipe from pH to lighting to nutrients throughout the grow process so your plants start healthier, grow faster, and provide greater yields. You can adjust your grow recipes on-demand to reproduce exactly the same grow plan with tireless precision every time. Ever Experience A Time When Your Supplier Was Out Of Your Strain? The SmartFarm is highly automated for perfectly predictable high quality clone results. Each layer of the SmartFarm includes its own power and energy efficient, cool-running LED light panels, full coverage irrigation, sensor monitoring, and wireless notifications. The lighting panels provide full spectrum white PPFD intensity levels greater than 300 umols/m2/s and are 0-100% dimmable. Every dynamic dosing unit can be interrogated for sensor readings, activity, grow plan, etc. Free yourself from supply shocks or delays. No downtime = More grow time. Did Your Supplier's Careless Behavior Ever Threaten Your Investment? You keep a clean environment as your first defence. Can you guarantee your clone supplier takes the same precautions? Have you ever brought in clones only to find them infested with spider mites or root aphids? You tightly control access to your grow rooms. Are your clone suppliers as strict? You avoid pesticides so you can glide though testing before you go to market. Cannabis is an accumulator. Does your supplier guarantee zero pesticide delivery? Take control and run your business with safe guaranteed supply. Bad clones are not worth risking your entire investment. The SmartFarm is a complete cloning & vegging system. Start the grow plan and the machine takes care of itself. 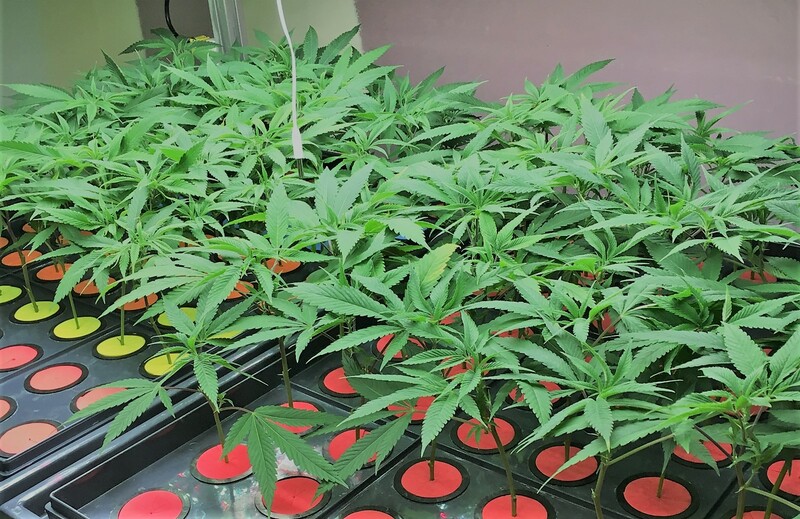 The Guardian™ Grow Manager software provides you remote access and control of lighting, nutrient grow recipes, irrigation schedules, environmental monitoring & control, operator task managment, and many more features from any keyboard or smart phone. 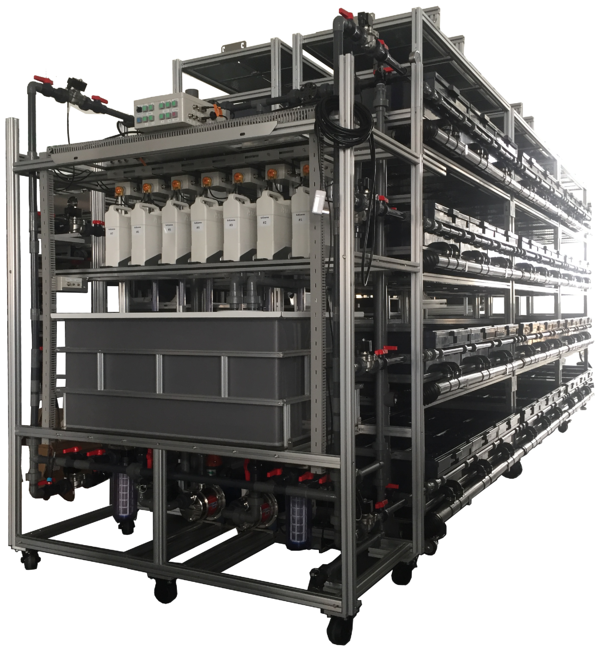 When supplies are needed, the nutrient dosing controls are positioned at one end of the stacked towers for easy access for refill needs. Any recipe can be adjusted on an individual basis to optimize for cloning or vegging or strain requirements. All sensor and environmental tracking can be backed up to the Amazon cloud (AWS). Clone or veg at your own speed and always keep your bloom rooms in production.